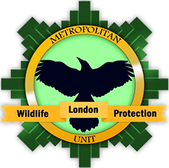 London Wildlife Protection focuses on wild birds living in London. 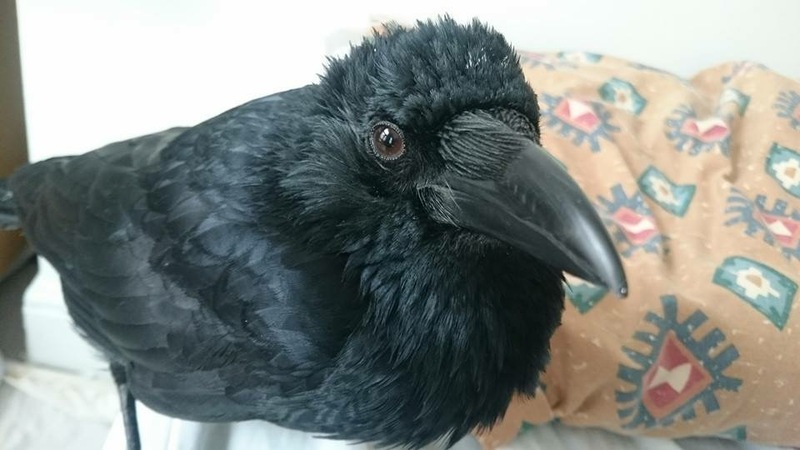 We are a volunteer run organisation and endeavour to provide a rescue and ambulance service when possible for all trapped, injured, sick or young birds and we rescue and save eggs and nests. We are a not for profit organisation and rely solely on donations from the public for provisions of food and medications. London Wildlife protection runs a strictly no-kill policy with rescued animals. One of our volunteers will endeavour to collect the injured animal. All proceeds are kindly being donated for the construction of a new aviary to house sick and injured birds during their recovery. Our volunteer Margaret will gave a 15 minute talk about the workings of LWP, assisted by the slides at the Waltham Forest U3A on 15th May 2018. U3A (University of the Third Age) is a UK movement of retired and semi-retired people who come together to continue their educational, social and creative interests in a friendly and informal environment. Margaret was joined by two other London Wildlife Protection volunteers Molga and Sidney. They talked about their experience as a LWP volunteer, why they are volunteering at the London Wildlife Protection. The aim of the talk was to bust some popular misconceptions, inform people how important wildlife rescue in an urban setting is, and recruit more volunteers. 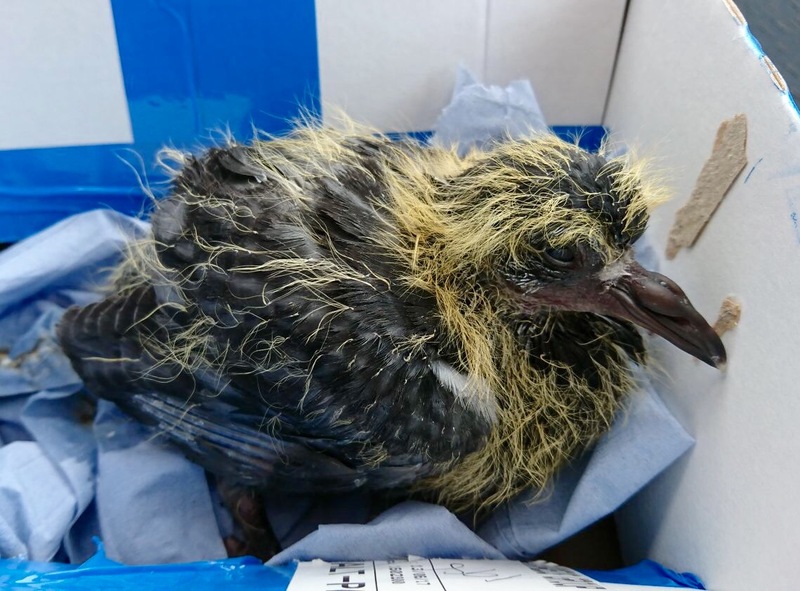 The fire brigade rescued baby pigeons from under a solar panels where they have been trapped alive and left by the installer company. the birds were left for 3 weeks to suffer, the company refused to come back and release the pigeons. All sides under the panels were meshed with steel mesh. Two fledglings seen trapped under, they were alive and there was a load of nesting. Parents were hanging around, apparently they have been seen feeding the 2 babies through the mesh. Rachel from Pinetree Small Animal And Bird Rescue managed to find a roofer who helped but the roof was to slippery for him to climb on, so he was limited to what he could do. the fire brigade was called, who were brilliant and managed to release the 2 babies who were fledgling and they flew straight off. 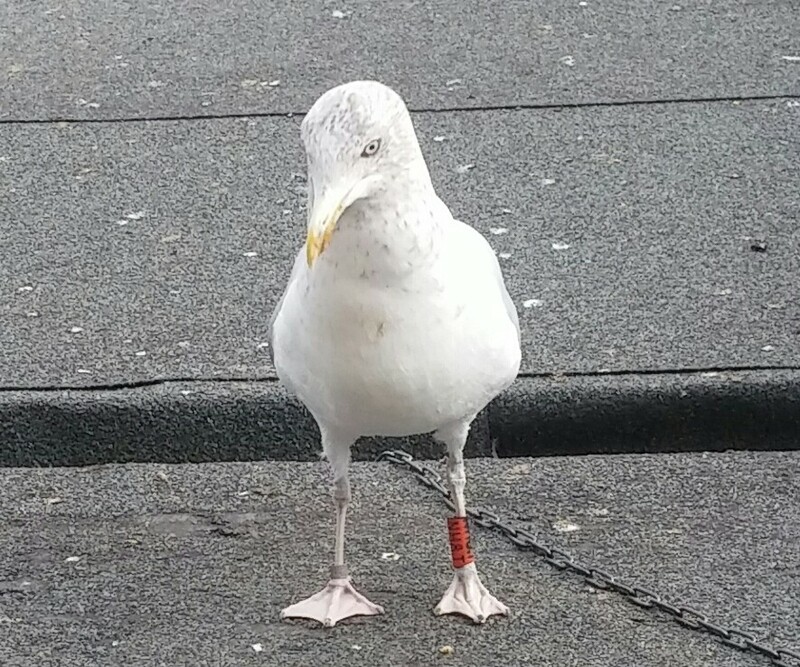 They seem well and strong thanks to their parents feeding them. The fire brigade checked the nests and couldn't find any more alive birds or chicks. Mama Cat Trust is a North London based animal rescue working with all animals but mainly cats and foxes. Kelly's rescues is a small scale, licensed wildlife rescue, but also has considerable knowledge in domestics. Specialises in Budgerigar and Doves. CW Wildlife Rescue is a non-profit wildlife rescue organisation, helping make the world around us a better, happier place. Urban Squirrels is a London-based, licensed squirrel rescue specialising in baby squirrels, and offering an informal rescue consultancy. Pinetree specialises in unwanted, sick and injured animals. This includes rodents, birds and wildlife. We have links to many other rescues. If you know of anyone looking to take on a rabbit please encourage them to adopt and not shop. Our friends at Little Furries Rabbit Rescue can help with advice, set up, bonding and adoption of our little furry friends.